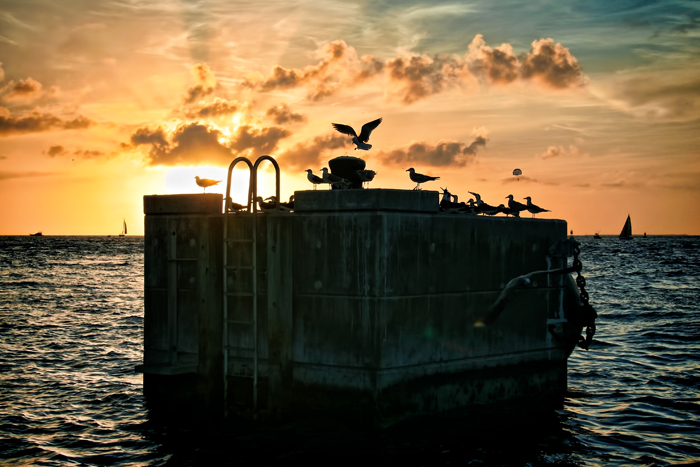 The sunset at Mallory Square in Key West, Florida. This location is a popular destination for tourists and is known for it’s brilliant sunsets on the Gulf of Mexico. Photo taken on December 30, 2007. Check out more of my sunset photos taken from around the United States! Sunset at Mallory Square, Key West by Joey B. Lax-Salinas is licensed under a Creative Commons Attribution-NonCommercial-NoDerivs 3.0 Unported License. Permissions beyond the scope of this license may be available at http://www.joeyblsphotography.com.